This article was published in Telehealth and Telecare Aware. Call failures to alarm receiving centres in the UK are rising but the reasons for this are currently the subject of hot debate. The problem is linked to the roll out of the next generation network (NGN) replacing the UK’s analogue Public Switched Telephone Network (PSTN), a task which will be complete by 2025. What is not debatable is that 1.7m of the most vulnerable in our society are being placed at risk as calls to alarm receiving centres (ARCs) increasingly fail or are delayed in their delivery due to incompatibilities of existing technologies. At the Telecare Services Association (TSA) conference in November 2017, technology-enabled care services company Appello, with circa 100k telecare system users, identified a 7.5 percent call failure rate and announced the problem as “deeply worrying”. 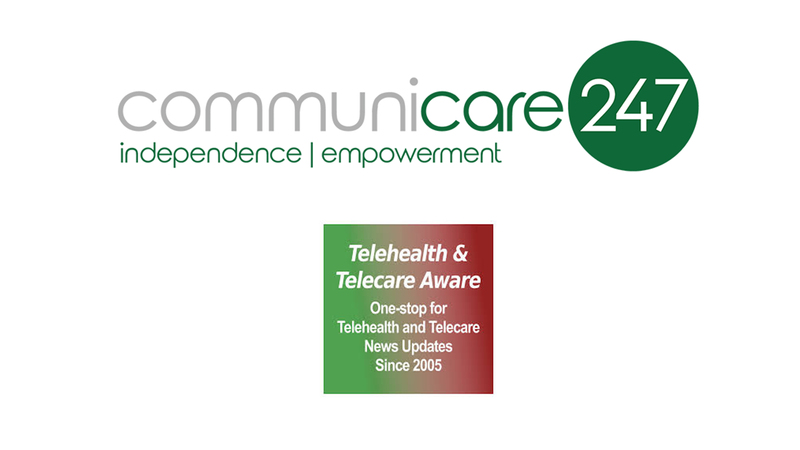 At the same event, Communicare247 presented a report which highlighted a significant 12.3 percent spike in call failures identified by Falkirk Council. This was part of an ongoing analogue to digital assessment program operating across 12 percent of the existing Scottish telecare user base, and significantly this spike occurred in Falkirk within a short three month period. Both Falkirk Council and Appello have published their evidence of increasing call failures in a TSA whitepaper. The TSA white paper, A Digital Future For Technology Enabled Care, highlights that the 1.7million people in the UK reliant on telecare need answers as their service is “threatened by disruption as UK telecommunications shift from analogue to digital”. Yet the link to call failures and the rollout of NGN has been called into question by a major equipment provider. In a recent blog, they asked a very challenging question: Are network issues causing a greater number of alarm call failures? Their answer delivered by the blog was, in essence, ‘maybe not yet’. In a comparison between one ARC, where call failures were high versus another where they were low, the blog claimed that “while the use of NGN networks has grown in the last few years this cannot account for the increasing trend”. As a potential compromise, the author also said that they could overcome any potential issues through the use of hybrid terminal adaptors (ATAs). However, evidence both in the UK and Sweden plainly demonstrates call failures increase as the network switches to digital. This is caused by signalling corruptions and time delays introduced as analogue signals from the telecare units at home make their journey across hybrid analogue and digital networks, and then back again into the existing analogue alarm receiving centres. Their experience must be considered now the UK telephony network is switching to digital. In 2007 when Sweden was switching its phone network, there were multiple incidents reported where social alarms failed to connect to the NGN. The consequences of this were made clear when a 76-year-old man died when his social alarm failed to connect to the digital network via his analogue telephone line. As a result, the Swedish Post and Telecom Authority advised municipalities in Sweden that hybrid/analogue solutions, including ATAs, should be avoided, arguing that a fully digital telecare system is critical to ensure that alarm services are delivered, developed and function in a reliable manner for end-users. Falkirk is a leading digital advocate and they foresaw that a more robust digital solution was needed. But with no clear options available in the UK, Communicare247 rose to their challenge by engaging with the local authority in the co-design of an award-winning, fully-digital cloud-based alarm receiving centre system. Using existing TEC partners available from procurement body, Scotland Excel, the local authority now has almost 1,000 digitally-enabled TEC users. It is well on track for all of its 4,500 telecare users to be served by a fully digital TEC system by 2021, in what will be a UK first and aligned with the Scottish Government’s digital agenda. The UK’s healthcare policy makers now have a clear decision to make: accept the use of ATAs within a hybrid analogue/digital solution or implement a proven, fully digital system that is both more robust and paves the way for future applications of tele-healthcare. It is pleasing that the Scottish Local Government Digital Office, the Scottish Centre for Telehealth and Telecare (SCTT), and their independent consultants Farrpoint are aligned with the Swedish policy and does not support the use of hybrid solutions or ATA’s (Analogue to Digital Telecare). I also welcome the recent report from Scottish Government, Scotland’s Digital Health and Care strategy, which confirms the direction of travel is to take a digital-first solution to the impending telecare problem. The report also highlights the benefits of delivering a truly digital telecare system that maximises the opportunities the shift to digital provides, such as smart sensors and remote diagnostics. This is the only way that the promise of independent living for the elderly population in a cost-effective manner will be achieved. The government’s commitment to digital telecare services in Scotland will deliver a reduction in delayed discharge from hospitals and ensure the elderly will be able to remain living independently in their homes for as long as possible.